The pound was the star of the session since it shot higher across the board, thanks to the better-than-expected reading for August CPI. The persistent risk-on vibes, meanwhile, continued to to weigh down on the safe-haven currencies, particularly the Swissy. As for other currencies of note, there’s the Kiwi since it spiked higher just before the London session rolled around, apparently because of easing political uncertainty ahead of New Zealand’s September 23 general elections. We got the latest CPI report from the U.K. earlier during the session. And fortunately for pound bulls, the U.K.’s CPI rose by 0.6% month-on-month in August. This is a tick faster than the expected rise of +0.5% and a welcome after the previous month’s 0.1% dip. In addition, this is the strongest monthly rise in six months and also puts an end to three consecutive months of ever poorer monthly readings. Year-on-year, CPI accelerated from +2.6% to a three-month high of +2.9% rise. And this, too, was able to beat expectations, since the consensus was for a +2.8% annual increase. More importantly for BOE rate hike expectations, the BOE staff forecast was for a 2.7% year-on-year increase for headline CPI in August, as noted in the August Inflation Report. As such, headline CPI is evolving at a faster pace than expected, which raises the probability that the BOE will sound more hawkish in the upcoming BOE statement. Better still, the core reading jumped from +2.4% to +2.7%. Not only does this beat the consensus for a 2.5% rise, it also happens to be the best reading for underlying inflation since December 2011. Looking at the details of the inflation report, stronger contributions from the industrial goods component (+3.2% vs. +2.4% previous) helped to drive annual CPI higher. And it was broad-based, too, since 10 of the 14 sub-components printed stronger increases. The rise on the cost of energy, in particular, was really strong (+3.2% vs. +2.4% previous), which helped to boost headline CPI. Another major driver was the higher cost of services (+2.7% vs. +2.6% previous). However, the rise in the cost of services wasn’t as broad-based since only two of the five sub-components printed stronger readings. Anyhow, energy, food, alcoholic beverages, and tobacco products are stripped from the core reading. But thanks to the broad-based rise in the price of industrial goods, underlying inflation managed to rise at a faster pace. For those who don’t know, New Zealand will be holding its general elections on September 23. And in the past couple of weeks, the National and Labour parties were running a tight race. And I highly emphasize the word “were” because the latest poll from Newshub showed that the National Party’s lead against the Labour Party has widened, with voting intentions for the National Party rising by 4% to 47.3% while voting intentions for Labour deteriorated by 1.6% to 37.8%. In simpler terms, the National Party is on track to gaining Parliamentary control, which is good since it would mean less deadlock and less political uncertainty. On the downside, there’s gonna be less entertainment value because there would be fewer instances of political drama. Commodities were broadly in retreat during today’s morning London session. However, not all commodities were getting drowned in the bearish tide since oil was printing some comfortable gains during the session. The U.S. dollar index was up by 0.11% to 92.02 for the day when the session ended. And that made commodities relatively more expensive and likely prompted the commodities rout during the session. Aside from Greenback strength, however, some market analysts also pointed to market players unwinding their positions on commodities, particularly base and precious metals, because global equities were more favorable in this week’s risk-friendly environment. Also, some inventory levels for some base metals like copper reportedly rose, which dampened demand for them a bit. As for the rise in oil prices, there’s no clear catalyst for that at the moment. Although it’s worth mentioning that oil was actually in negative territory as well during the earlier session. Precious metals were down in the dumps. Base metals also got clobbered. However, oil benchmarks were able to go against the the bearish flow. The risk-on vibes ain’t going away it seems since the major European equity indices are scoring broad-based gains yet again. And as usual, market analysts were attributing the risk-on vibes to easing worries pertaining to Hurricane Irma and situation in North Korean. U.S. equity futures were also in positive territory, which is a hint that the risk-on vibes may continue into the U.S. session. The pound soared during the morning London, thanks to the better-than-expected readings for CPI. The move was rather strong likely because the annual headline of +2.9% also managed to beat the BOE’s staff forecast of +2.7%, which likely revived expectations that the BOE would try to sound hawkish in the upcoming BOE statement, or perhaps even signal that a rate hike is now more imminent. The Kiwi surged about an hour before the morning London session rolled around and then proceeded to continue doing so during the first half of the morning London session before losing steam during the later half. 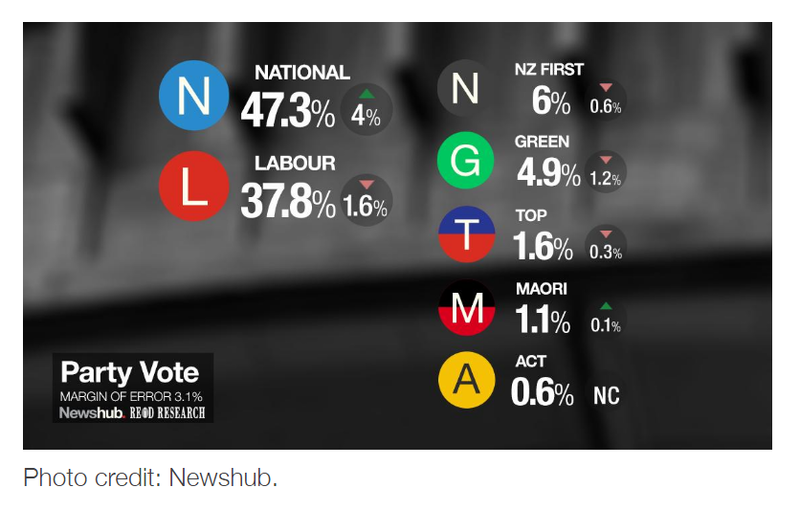 And the main catalyst for that early surge was apparently the Newshub poll that I mentioned earlier, since that likely helped to ease political uncertainty. Other than that, the higher-yielding Kiwi also probably benefited from yet another bout of risk-taking. The lower-yielding currencies had another tough time during the session, thanks to the persistent risk-on vibes. And among them, the Swissy apparently got the brunt of it since it was the worst-performing currency of the session.